The Streaming services has initially started as an add-on to DVD and digital download that offers with a trickle of second-run movies and TV shows. They can also add supplements to the programs that you watched on their first and second runs on cable TV. Due to the speedier Internet connections, an abundance of dedicated streaming video devices, and an explosion of mobile video has allowed the streaming services such as Netflix, Amazon Video, etc. to bulk up their streaming libraries and invest millions in original content, and also gives traditional pay TV providers a run for their money. Netflix is the standard-bearer of streaming. There is a perfect selection at all times along with new titles exchanged for older ones monthly. In addition, there is a Netflix original programming to take into account. The Netflix is the only place to get your shows like Orange is the New Black, Stranger Things, Jessica Jones, and much more. The Netflix service is also available on a variety of devices from your PC and tablet to the Chromecast and also in the game console. Now, you can also download the content for off-line viewing. The company’s DVD service is always available when you want to see the new releases. But, the Netflix mainly concentrated only on its streaming will go forward. Hulu is yet another best all-in-one options for cord-cutters given its diverse set of streaming options. In addition to a quality original programming, a strong library of classic shows, and a good selection of anime series and movies. Now, it offers a robust live TV option. It also focused on the trails of some top competitors to given its limited HD and 4K selections. 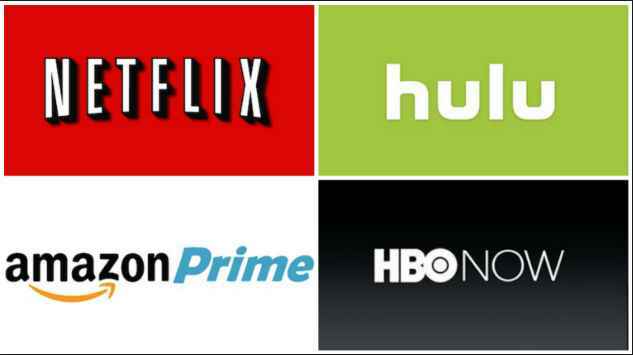 There are few similarities and dissimilarities with Hulu and Netflix. Sling TV is probably as close to the traditional TV experience as you can get online. The Sling TV offers live access to channels like AMC, TBS, The Food Network, CNN, TNT, and much more channels only for $20 per month. If you want to add more services, the Sling TV can add up the services. The basic Sling Orange plan is available there with support for one stream at $20 per month. The Sling Blue is also available with support for three simultaneous streams at $25 per month or both with support for four simultaneous streams at $40 per month. Amazon Video will be available at $8.99 per month. But, if you plan to stick with it for more than a year, you might go for Amazon Prime which includes Amazon Video but not to mention Amazon Photos, Amazon Music, and a number of other Amazon-centric perks. In addition, the Amazon is having 40,000 titles to stream but only a fraction of those are included with Prime streaming. One of the main drawback is that it does not work with Google’s Chromecast. But, it is working very well on Roku and also working well on Amazon’s own Fire TV devices, smart TVs, and lots more. The DirectTV Now is one of the best streaming service which offers so many channels of live TV without installing a satellite dish or running cables. The service provides an excellent picture quality and various connectivity options as well as the subscriptions start at $35 per month. In addition, you can also add HBO or Cinemax to any package for $5 each which includes all live HBO or Cinemax channels and access to the respective networks’ on-demand library. The Soundbars are the sleekest, least obtrusive way to get sound that’s as impactful as the premium picture on your TV. 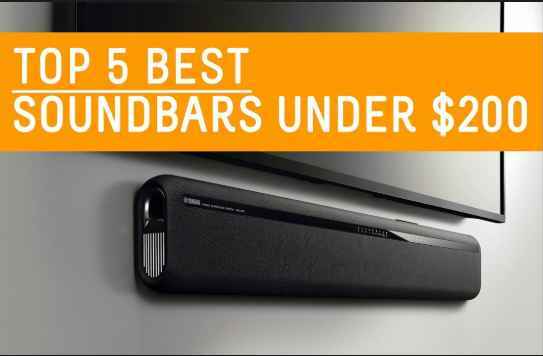 The best soundbars offer minimalist style, thrilling surround sound, and the ability to stream audio from your phone with no need to carve out room for a receiver or tower speakers. There are so many wireless connection options and multiple ways are available to play your favorite music, movies, and TV shows. There are many reasons we like the HW-K950 so well. It offers nothing less than heart-pounding, pupil-dilating aural thrills. It is really very easy to set up which requires a simple HDMI connection. The Main thing to use this bar is for how well it handles virtual Dolby Atmos sound. It provides a clear sound surround of the HW-K950 is nothing short of entrancing. The HK-K950 does both subtlety and bombast equally very well. The Whispers, wind, and softer effects present in this soundbar is very clear and massive. The Booming bass-driven effects are downright chest-rattling. It can also coming out with wireless satellite speakers though they must be plugged into an outlet for power which offers true surround sound immersion. It can be pump out impressively powerful sound, particularly in the low-end range. The sound stage present in this soundbar is wide and immersive, and due to Dolby Atmos support, it delivers a state-of-the-art surround setup. It’s worth pointing out this model doesn’t perform very well as a complete music-listening solution. Surprisingly, though, there are other recommendations on this list that can easily fill that gap. The Soundtouch 300 is a great choice in the cinematic sound. It basically stands over 8 inches tall and the Yamaha Sound Projector 5600 (YSP-5600) isn’t your average soundbar. It can be loaded into this behemoth are 44 beam drivers which includes a 12-pack of them pointed right at the ceiling to deliver the sense of height required by Dolby Atmos and DTS:X technologies. The four HDMI ins and an ARC-enabled HDMI out, one coax and two optical digital inputs, infrared in/out, RCA analog input, and a sub woofer out are available in the system. The Yamaha YSP-5600 has loaded some truly brilliant sound performance into its magic box. It is purely a sleek soundbar that doesn’t need extra components, but still packs auditory oomph to enhance your home theater. Its design also extends to the minimalist remote, which is quite simple and intuitive to use. The Smart Sound EQ system is an extra push-button DSP features that really enhance the sound performance across formats and genres. It is having a low bass performance when compared to other models with dedicated subs. It lack an ability to fine-tune as much as we’d like due to the remote’s sparse controls. The HW-MS650 Sound+ is an excellent soundbar for those who want great sound from a simple setup. The SP-SB23W is a fantastic soundbar which is built on a six-pack of individually amplified drivers and a very capable wireless sub-woofer. It comes with an excellent MDF cabinet lined with woodgrain ripples and also complementing the cubed sub-woofer with a smart design. This soundbar produces a clear and natural sound signature built on creamy mids, musical bass, and richly drawn dialogue. All are knowing that for a nice HD quality video and audio transmission, a good HDMI cable is required. If you want to keep your devices installed farther and cables are too inconvenient to use, you can use the wireless HDMI systems come into play. They can transfer the images and sound signals from a PC or other devices directly to your TV screen or monitor by wirelessly. The Nyrius Aries Pro is one of the best choices if you want to gain more control of your HD videos and to be able to wirelessly stream them to any display. It will finally liberate you and your living room from the constraining cables like an invisible HDMI cable. If you want to make a good investment, this is an ideal wireless HDMI transmitter/receiver combo. There are other interesting uses for this little device. In addition, it can also be used by the Video-graphers to stream video directly from their UAV drones, HDSLRs, and video cameras. With the help of USB power source added to your camera setup, you can move freely into cramped spaces and you can easily check your footage remotely in real time. The Actiontec ScreenBeam Mini2 SBWD60A01 is perfect to mirror and project anything using a device that supports it, on virtually any HDTV or HD projector. 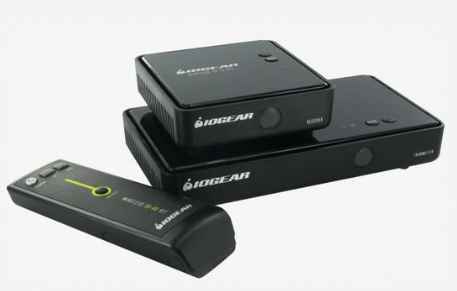 It guarantees excellent image and sound quality for its small price which is similarly to any expensive HDMI cable, . If you want to maximize the output display, the Actiontec has to be implemented a dual-band design 2.4 GHz and 5 GHz for this device and to ensure a solid gaming experience the latency levels are too low to be pointable. The Wi-Fi congestion is one of the major things present in the past ScreenBeam Mini2. The combined form of HDMI transmitter and receiver with support for streaming the 4K video contents. The J-Tech HDbitT Series provides an extreme performance and improved signal stability. The range of wireless transmission cannot suffer from the same problems as available in older technologies. For more premium device, it brings more quality and reliability to the table. It will be an ideal choice even though the price is higher. The Nyrius Prime comes with a powerful features than the other expensive model but with only a 30 feet range as opposed to the 100 feet. If you want a more cheaper HDMI transmitter and receiver combo, you can easily count on this one. It can be installed very smoothly as it comes with a plug-and-play setup. For watching the wireless videos can be done in no time with this transmitter. There is no software is needed and all you have to do is plug it into your device’s HDMI port. It is yet another great mountable kits of HDMI transmitter and receiver combo and there are some good reasons for that. It provides and effective video quality without compromises and an increased viewing range while the price is quite fair considering what it offers. First of all, you need to know about this model is the plug-and-play experience provided thanks to the way Siig optimized the kit to work straight out of the box. There is no complicated cable installation is required as the setup is done quickly without any issues. Wireless charging refers to the ability to charge a battery-powered device like mobile phone without the need for connecting a cable to the device you want to charge. The driving force behind wireless charging is magnetism. When an electric current flows through the charging coils of a wireless charging pad (the transmitter), it produces an electromagnetic field that transmits a charge to the corresponding receiver in your device (Ex. your mobile phone). The Aiermaisi Wireless Charging Pad is, in fact, a stand that houses two coils. The main advantage of the extra coil is that you can place your phone in either portrait or landscape orientation on the stand. The Aiermaisi props up an iPhone for easy viewing, and the cradle on the bottom will not cover up the screen in portrait orientation. It offers so many wireless charging solutions. The Anker PowerWave 7.5 will really impressed you a lot. It not only supports fast charging with 7.5W and 10W for iPhone and Samsung phones. We must thank to its WaveBoost technology and it’s up to one hour faster than other competitive solutions. The Wave Boost is a clear solution that combines a state-of-the-art cooling technology with a dedicated chip set. The Power Wave 7.5 charging stand would comes with a solid build quality that includes an anti-slip surface and a raised front-lip that keeps your phone securely positioned in the charger. Unexpectedly, It makes very difficult to unlock an iPhone X when swiping up from the bottom when the phone is docked. Asunflower Dual Wireless Charger is unique due to its ability to charge a compatible phone and Apple Watch Series 2/3 at the same time. This feature is one of the main reasons why do you carry this charging pad in your backpack when you are in traveling. The Asunflower charger is the only wireless charging pad which offers a lifetime warranty. It does not have an AC adapter and the maximum power output for Samsung phones is limited to 7.5W instead of 10W other wireless chargers support. The Belkin released its Boost UP 10W Wireless Charging Stand at CES and it went on sale in May of 2018. It is having a pretty design of wireless charging stand and is entirely different from most of its competitors. In addition, it converts a charging disk into a stand which allows you to charge your phone in either landscape or portrait mode. While the most expensive chargers in the test, the Boost Up enables fast charging up to 10 Watts through the included wall adapter and it has a warranty of up to three years. Burkley is well known for premium and is yet affordable leather accessories for mobile devices. It can be used to create a beautiful and decorative charging pad that stands out from the competition with its design. 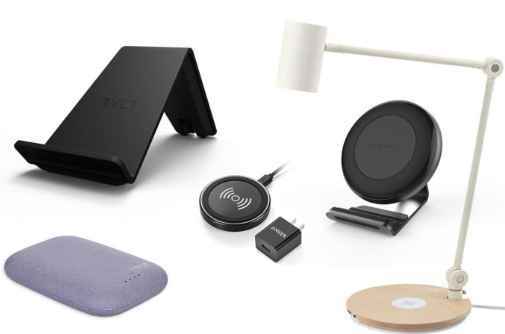 Like most of the other products I have reviewed, the Burkley Leather Wireless Charger supports fast charging as long as you provide sufficient input power. One of the major drawback is it does not include an AC wall adapter. Therefore, you have to make sure that your USB power source provides sufficient output to enable fast charging. The Windows laptops are getting longer battery life, the Chromebook has become very popular in terms of battery life that’s still out of the reach of most Windows 10 laptops. When Google had exposed its original laptop lineup nearly seven years ago and we were not sure about what to expect from the best Chromebooks. 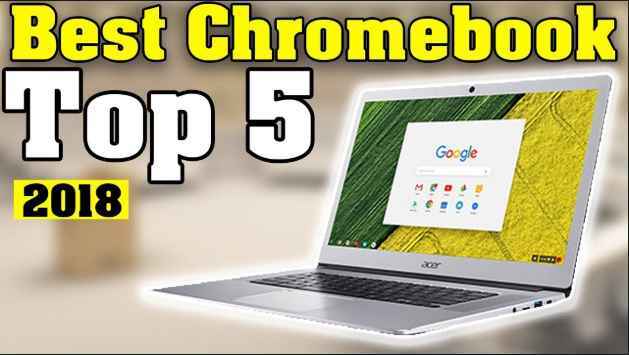 There are more than 25 million Chrome OS users in the world who have embraced the world of Chromebooks in the year 2018. The Google has decided to brought it back in a way nobody was anticipating before its announcement and subsequent release would came back in October 2017 and it has been happened after the Chromebook Pixel coming to the end. In addition, the Google Pixelbook will stand independently due to its spiritual predecessor. So that, the Chromebook Pixel can natively run Android apps on top of building upon Chrome OS. If you are trying to add the huge storage space, surprisingly, the pixelbook is the best Chromebook which is available for doing it. Before coming out of Google Pixelbook, the Asus Chromebook Flip was the best Chromebook. It comes with a full-fat Intel Core processor and full-HD display, the Chromebook Flip could change everything. By using this Chromebook, all the features that we take for granted came to life. If you want the key features that the Pixelbook offers, you don’t want to drop that much cash, the Asus Chromebook Flip is a great choice. When Google announced that Android apps would be heading to Chromebooks, it was only a matter of time before Samsung took its mastery of the two OSs and crafted something truly beautiful. The Samsung Chromebook Pro comes with a 12.3-inch QHD touchscreen and a 360-degree hinge. So that the Samsung Chromebook Pro is mostly appreciated due to its built-in stylus and it will be the first of its kind to show up in a Chromebook. It not only show up a majority of laptops in its own category, but also proves it as better than most Android devices as well and also our issues with the speakers and keyboard aside. The Dell Chromebook 11 is well known Chromebook about its value as well as the Samsung Chromebook Pro is well known about its versatility. It is having a 180-degree hinge, sturdy design and a sealed keyboard and track pad and also it is having a punchy typing experience. Finally, the Dell Chromebook 11 is perfectly a portable package. In addition, it not only suited for school and work, it can also having packs a set of loud stereo speakers for listening to music or watching videos. However, the Dell Chromebook 11 remains the most rugged Chromebook on our list. We can see the Acer Chromebook 15’s aversion to 2-in-1 form factors due to the build quality of a MacBook. But, given that most Chromebooks releasing in 2018 are fully convertible due to the wide implementation of Android app support, the Acer Chromebook 15 had to prove itself to us with more than just a beautiful design. Due to the top of its ability to lay flat using a 180-degree hinge, this 15-inch beauty makes great strides with its battery life as well.